Just for the heck of it. 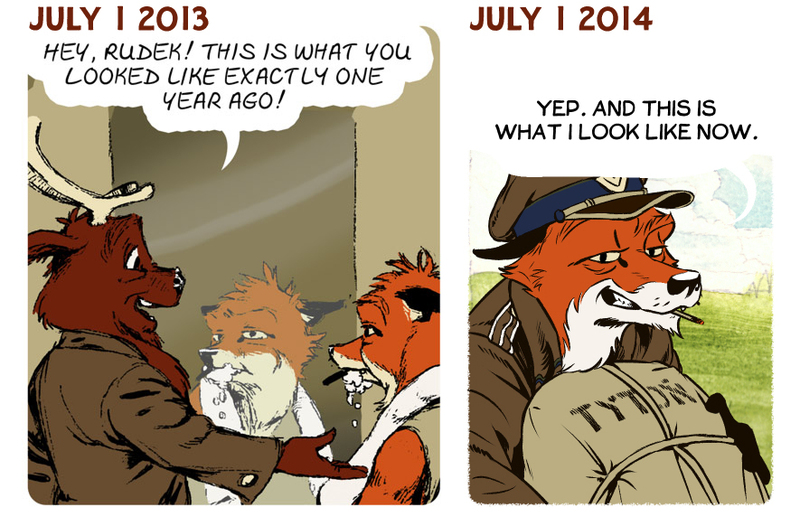 And because I noticed the dates were exactly a year apart between this comic and this comic. Mainly, the figures have gotten more clean, and the backgrounds more detailed.